I love my husband to pieces, but we agree on very little entertainment-wise. Except for a few classical pieces and a little bit of Celtic folk, we can’t stand each other’s musical choices. He thinks classic rock is the only thing worth listening too and I’d prefer not to listen to the same tired old stuff day in and day out. I prefer more of an alterna-folk kinda sound. I like musicals – he hates them. I like period pieces – he hates them. He likes sitcoms – I hate them. He likes sports – I hate them. You get the picture. However, we are both geeks at heart and love sci-fi, fantasy and Monty Python. In fact, The Holy Grail is one of our favorite movies. 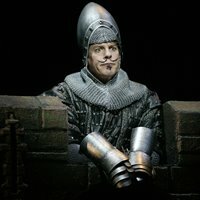 Well, yesterday I did something I haven’t done in ages – went to a live theatre production! 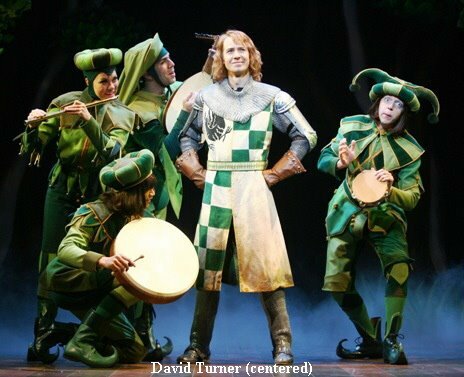 Hubby surprised me with tickets to Spamalot as an early anniversary present. It was so sweet and entirely unexpected. I’d wanted to see the touring production desperately, but I really couldn’t see spending the money – needless to say, I about fell over when he gave me the tickets. The show was wonderful – absolutely hilarious. We laughed like idiots and had a blast together. It was a lovely surprise and I’m so thrilled he decided to do it. The show and the company were awesome. 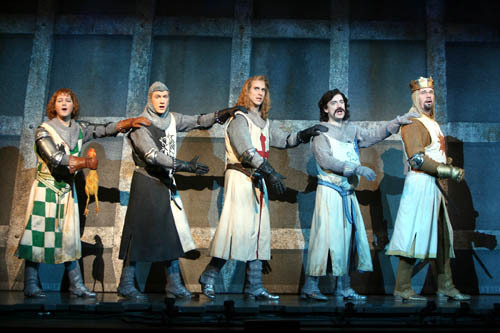 If you like Monty Python and you get a chance to see Spamalot – do it! Ah, that sounds so lovely. I so happy you had a good time! Happy Anniversary and I”M SO JEALOUS! !I’m sending Scott to the DVD store today. Spam, spam, spam, spam!Sounds like a great time. I’ve seen it and I agree, absolutely hilarious. What a sweet man! Aw. Tell Mr. Green he’s a sweetie. I wanted to go see it, but with work and the Stanley Cup playoffs (Go Wings!) it wasn’t possible. ← Is it summer vacation yet?